It's a busy old month for July. I have picked some of the best U.K Paperback books to be published over the summer month of July. I will also follow up this post with the more interesting hardback releases. I will also cover some of the best ones to be released in the U.S. It's the summer holidays, and Eddie finds himself strangely drawn to the famous caves at Wookey Hole. 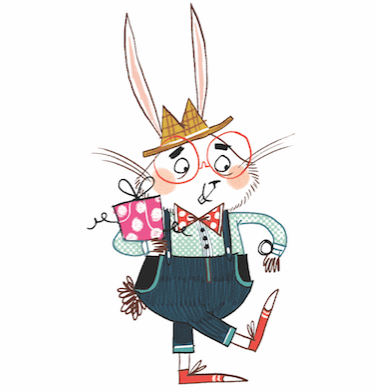 He makes friends with the ticket seller there, and before long is allowed to roam wherever he wants. He loves it . . . until the day he gets lost. Just as panic sets in, his hand is taken by a strange girl, about his own age, who guides him to the surface. Gwerren is weird. She's extraordinarily pale with huge violet eyes and white hair - what's more, she won't come out of the caves. As she and Eddie become friends he starts to wonder if she's a ghost. Then Eddie nearly dies in a pothole - and discovers not only the truth, but life where nobody thought it could be . . . A thrilling new novel from the author of the popular 'Shapeshifter' series. Franny is upset. Her grandfather is very ill and she realises that he will soon die. She begs her friend Mrs May to give her something to make him better. Mrs May gives her a potion with the warning that Grandfather must not drink too much. The effect is startling. Grandfather becomes much younger and more vigorous with each sip. Of course, he pays no heed to Mrs May's warning until the process of getting younger becomes a little too extreme! He and Fanny are faced with the dilemma: is this really how life should end? Somewhere between France and England there is an island that no one has ever bothered to discover. On it, lives Wilma Tenderfoot, a determined ten-year old girl who dreams of one day becoming a World-Famous Detective. So she can't help thinking it's destiny when, dispatched from the Institute for Woeful Children to her new home as a live-in skivvy, she discovers that the genius gentleman detective Theodore P. Goodman lives next door. 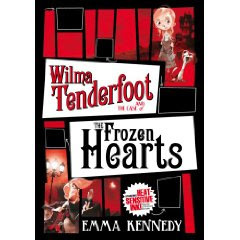 A ten-year-old girl of great determination (and her pet beagle, Pickle) and a World-Famous Detective of great repute might not be the most obvious crime-solving duo - but Wilma Tenderfoot is not about to let that put either of them off! And it looks like their first dastardly case is about to begin ...Feisty but funny, cheeky but charming - Wilma Tenderfoot and her unique mystery-solving methodology is hard to resist! In search of a potion for her dying mother, Clary sneaks into the City of Glass and is immediately caught up in a life-and-death battle. As the children of the Moon (werewolves), Night (vampires), and Faerie gather for a war that will rend the heavens, Clary calls upon her untrained powers to control an angel who will save or destroy them all. Readers should be familiar with the first two installments in the Mortal Instruments series, but there is nevertheless plenty of romance, loss, honor, and betrayal to make the journey worthwhile. An experienced storyteller, Clare moves the plot quickly to a satisfying end.